This Old Man font family series mainly provide Regular and other font styles. pf_old_man_moon1 font family series mainly provide Regular and other font styles. Old Man Eloquent font family series mainly provide Bold,Regular and other font styles. OldManEloquent-Bold font family series mainly provide Regular and other font styles. 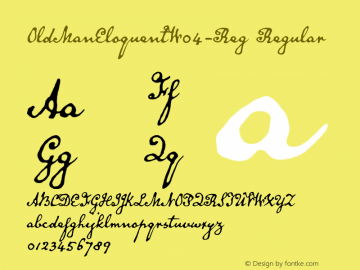 OldManEloquent-Reg font family series mainly provide Regular and other font styles. 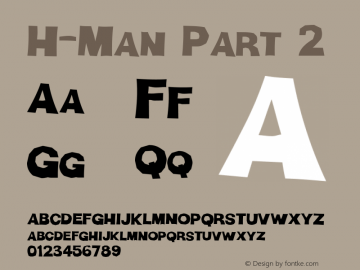 H-Man font family series mainly provide Regular,Part 2,Medium,ManPt2,Man-Part2,Man and other font styles. 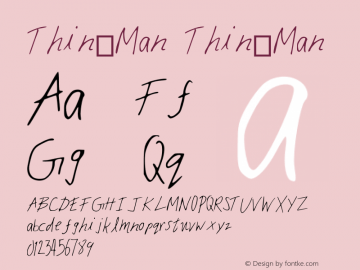 Thin_Man font family series mainly provide Thin_Man and other font styles. Hatchet Man font family series mainly provide Hatchet Man,Thin and other font styles.